You will be given a reference e-book to read which has 381 pages And the test will be based on that e-book . you can take final test within 1 year of purchase. Mindfulness is one of those concepts where numerous therapeutic applications developed for modern psychiatry and clinical psychology are mainly based. It is defined by some experts as a psychological quality involving the process of bringing the complete attention of one to the present experience momentarily or paying close attention in a specific manner either on purpose, non-judgmentally or during the present moment. Mindfulness is also defined by some experts as a type of present-centered, non-judgmental and non-elaborative awareness wherein all feelings, thoughts and sensations arising from the field of attention is accepted and acknowledged as they are. It also covers the process of paying attention with a purpose. It encompasses a more conscious direction towards your awareness. Instilling mindfulness within you allows you to enjoy a wide range of benefits. These include effectively responding to more difficult and complex situations, recognizing, stopping and slowing down habitual and automatic negative reactions, seeing situations in a clearer manner, improving your creativity and achieving proper resilience and balance both at home and at work. The good thing about mindfulness is that it works for different types of people regardless of their age, career path and financial and emotional situation. It should be noted that it is never considered as a religion so no religious components are required to practice it and start enjoying its benefits. 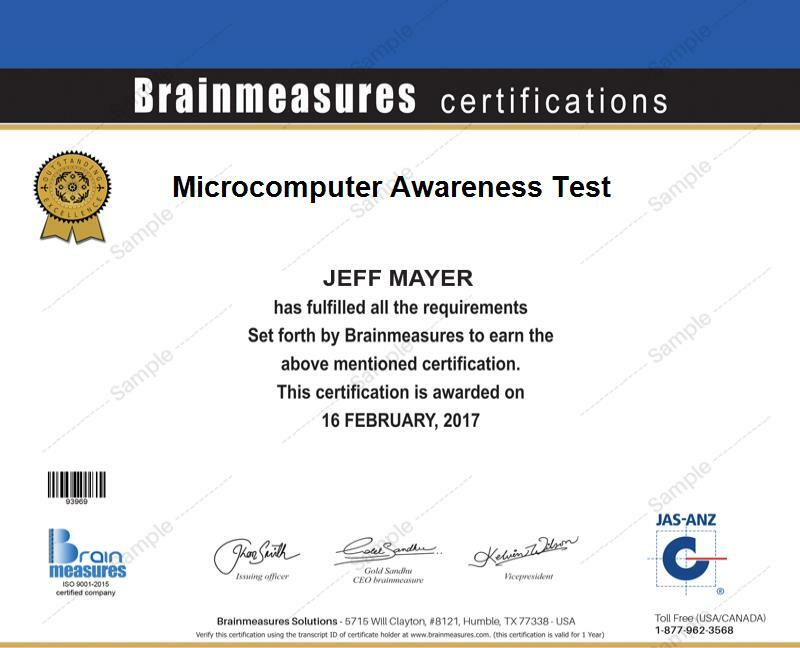 If you strongly desire to acquire a better background and knowledge of mindfulness, then be aware that you can reach this aim by accessing the mindfulness certification program which is developed by Brainmeasures. What makes the mindfulness course from this highly reliable online certification company remarkable is that it widely covers the different aspects linked to mindfulness and how it is being practiced. By taking part in this program, you will get the chance to enjoy a highly extensive and detailed mindfulness training which covers a variety of topics related to the field including its scope, its major functions and benefits, the specific approaches that you can use to effectively practice it, the major principles that form part of this specific quality and the major reasons why this is being practiced by a lot of people at present. Completing this certification course helps you in rewarding yourself with a mindfulness certificate which is effective in proving your competence and skilfulness in the field. The mindfulness certification program established by Brainmeasures is perfect for all those who dream of fully understanding every aspect linked to mindfulness. It works perfectly for all therapists, psychiatrists, psychologists, family physicians, psychiatric nurses, social workers, sexual abuse counsellors, alcohol & drug counsellors and all other mental health professionals who are in search of the most proven and practical methods in enhancing their therapeutic knowledge and skills. Jobs that are available for those who have completed a mindfulness certification also offer higher levels of salary. If you use your mindfulness certification to work as a clinical psychologist, then it would be possible for you to start earning around $64,000 to $105,000 yearly. Using your certificate to become a psychiatric nurse also entitles you to receive approximately $56,000 to $110,000 every year.